Your smile is made to last forever. Let us help you keep it that way. Thanks to modern preventative techniques and screenings, Dr Meng Quah-Shepherd (Dentist) can help you minimise the risk of problems like tooth decay, loss and gum disease. Making a preventative care appointment is the first step. These routine visits occur about every six months, providing us with opportunities to clean away bacteria, polish your smile and offer educational resources appropriate to your unique oral health status. If problems are noted, they’re typically smaller and more straightforward to resolve. Comprehensive and Periodic Exams— Establishing a baseline of your oral health status provides us with detailed information to compare future appointments against, improving how effectively we can diagnose potential concerns. Prophylactic Scale and Clean— Lifting away loose biofilm and calcified tartar creates a cleaner environment that promotes healthier gums and tooth attachment. It also freshens your breath and brightens your smile. Periodontal Evaluation— We screen for signs of gum disease so that you can avoid this common cause of tooth loss. Gum disease often does not present with pain or obvious symptoms. Gum disease causes loss of bone support around your teeth. If you experience any bleeding gums during brushing or eating, this could be signs of early gum disease. 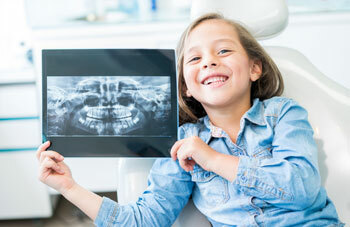 Digital X-rays— High definition imaging and radiographs improve the way we monitor your oral health and screen for disease. TMJ Assessment— Jaw pain, popping, clicking or deviated movements could indicate the presence of a temporomandibular joint disorder (TMJD). Oral Hygiene Screening— During your cleaning, we’ll make notes and suggestions of how to better care for specific areas throughout your mouth. If you have concerns or questions about your teeth, we’re happy to answer them. Should Dr Meng suggest any particular treatments, she will discuss them with you so that you can make an informed choice about each procedure. Contact us today to book your next six-month check-up!